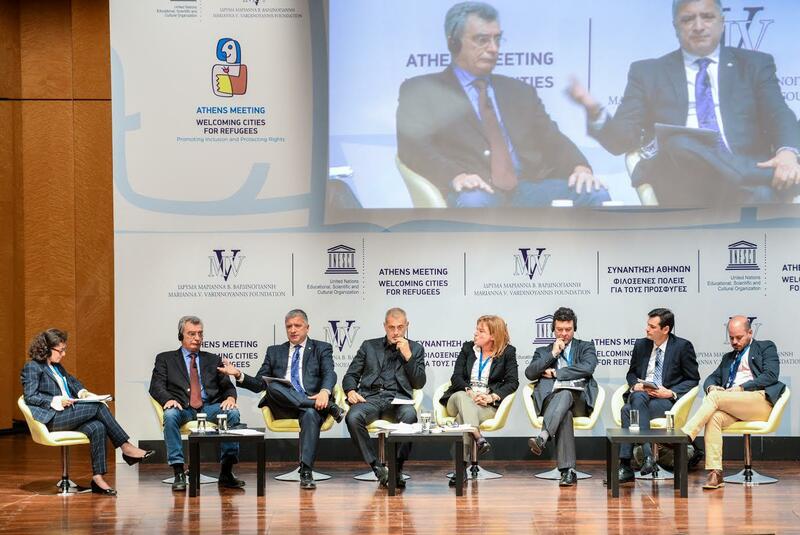 A strong message about faith and devotion on the universal values of peace, solidarity and understanding, was sent from Greece to the world by the Athens Meeting organized by UNESCO and the "Marianna V. Vardinogiannis Foundation" which was prologed by the President of the Republic Mr. Prokopis Pavlopoulos. The speakers analyzed all aspects of the complex refugee problem - fundamental issues, international treaties, human rights, multicultural coexistence, the role of the media, and more, while Mayors of cities and islands that are hosting the most of the refugee number in Greece gave their testimonies. 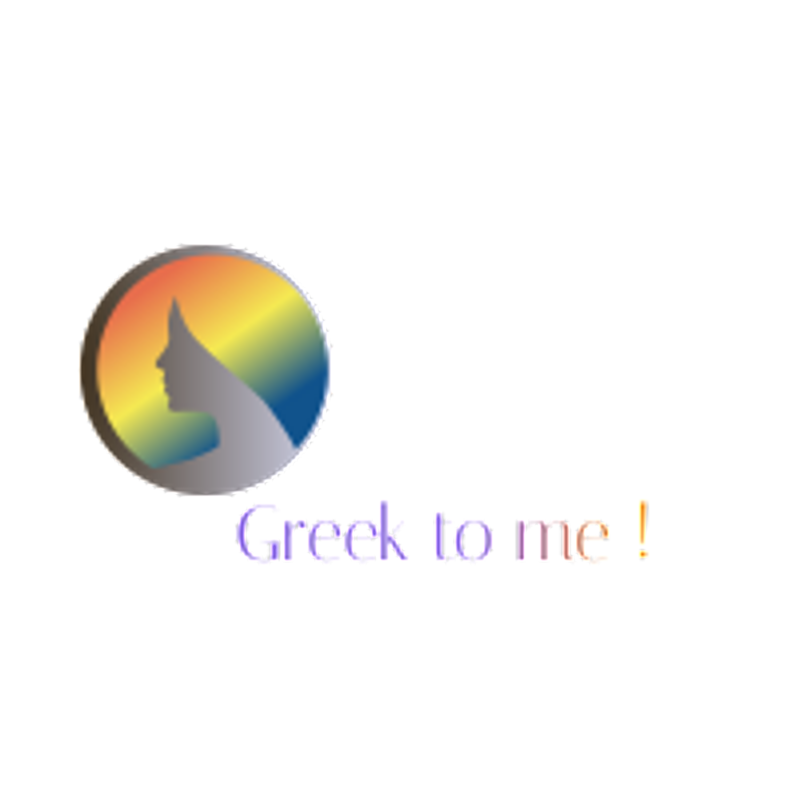 Suggestions and proposals where made by foreign and Greek experts who participated in the meeting, professors, consultants and public officials competent in migration policy, representatives of civil society, etc. The opening of the meeting made a speech of the Director General of UNESCO, Ms Irina Bokova and the Goodwill Ambassador of UNESCO, Mrs. Marianna V. Vardinogiannis made the main speech . A Greeting was also addressed at the event by the wife of the President of the Republic of Cyprus, Mrs Andri Anastasiades,and also the wife of the President of the Republic of Albania, Mrs. Odeta Nishani. 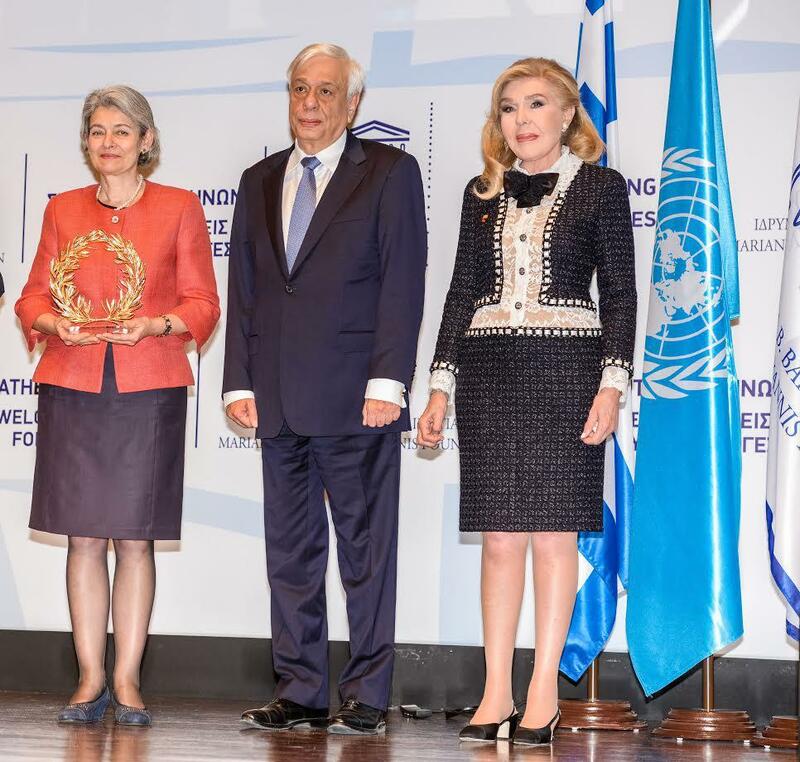 The Director General of UNESCO, Ms Irina Bokova was awrded during the summit with the "Foundation Prize Marianna B. Vardinogiannis" 2016. The views and experience for the refugee issue submitted to the Athens Meeting: the 26th governor of Canada (1999-2005) Ms. Adrienne Clarkson, the President of the Central Union of Municipalities and Mayor of Maroussi Greece, Mr. George Patoulis, Mayor Lesvos Mr. Spyros Galen, the Chios Mayor, Mr. Manolis Vournika, Mayor of Piraeus Mr. John Morali, the representative of the UN High Commissioner for Refugees in Greece, Mr. Philippe Leclerc, President of Global Migration Policy Associates, Mr. Patrick Taran, the Head of Platform for International Cooperation on Undocumented Migrants (Belgium) Michele LeVoy, and the founder of IamSyria.org (USA) Andrew Beiter .